The above Prototype of our Phase II project... was built by LSSU's Product Development Center. 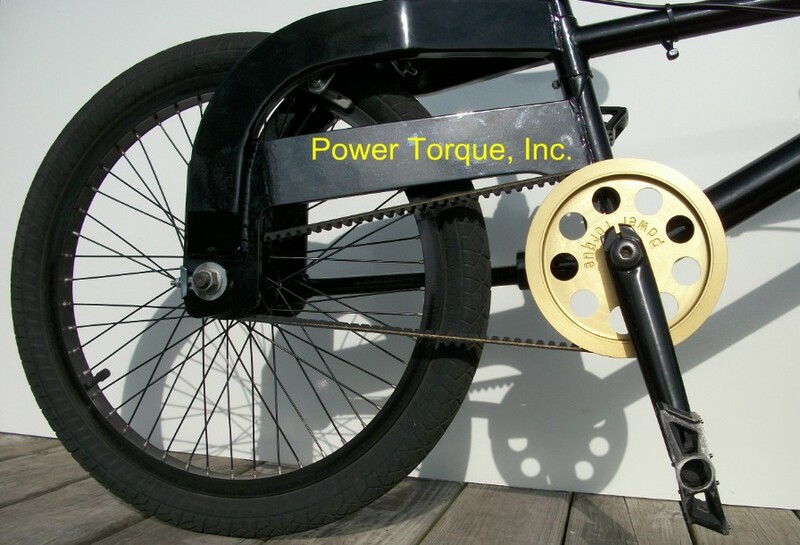 Our patent pending belt drive system will certainly set new standards at the BMX Racing levels. Now... as Phase II of this venture begins... bringing our own branded BMX (and street) Belt-driven bike to the BMX Industry... (and again... street riders too) we seek additional funding to complete this project. Only 100,000 shares of PPS has been authorized. This is NOT a public offering... it is intended for those connected with Power Torque, Inc. ONLY. We welcome you to read and digest the Introduction and Executive Summary for our Phase II venture. Both are attached below in .pdf format.